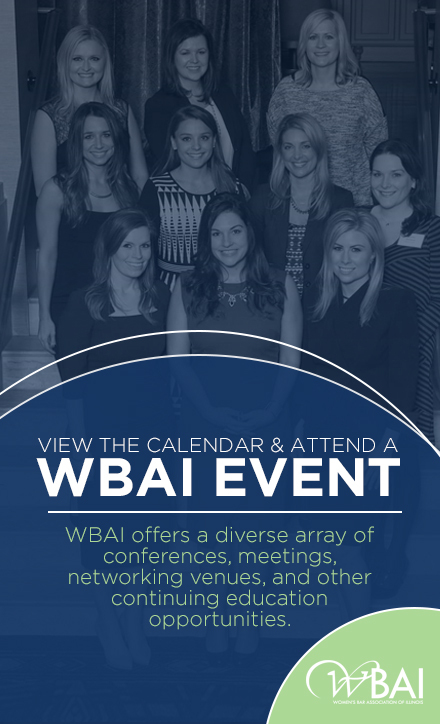 The WBAI celebrated its 100th Anniversary last year, which naturally presented a moment for our members to reflect back on the women lawyers who blazed the trail before us. Recently, Jeanine Stathopoulos, Kilby Macfadden and I met with Catherine Rago to do just that. Ms. Rago, now in her nineties, is an attorney who practiced law in Chicago during World War II and utilized resources that the WBAI had made available to women practitioners. We interviewed Catherine, along with her nephew, Michael Ralph, to hear about her experiences working as a lawyer in the 1940’s and the resulting influence on her family and friends. Upon meeting Catherine, we quickly learned that, despite her age, she continues to display the sort of feisty disposition one would expect from a woman who attended law school in a class dominated by men with only three female classmates. As a student at DePaul University College of Law, Catherine talked about how she became “one of the boys” and never really allowed her minority status as a woman to interfere with her ability to succeed in school. In coming to know Catherine’s sharp wit and sense of humor, I sensed it was not her style to let much of anything stand in her way. She went directly from DePaul University’s undergraduate liberal arts program into the law school, graduating with a Juris Doctor in 1944. From there, Catherine passed the Illinois bar examination and sought to enter the legal profession. At the time, DePaul law school’s career services department had forged a partnership with the WBAI job placement program in order to assist women law school graduates in their search for employment. Many American men were overseas during World War II, which we thought might have expanded opportunities for women in law. Catherine pointed out that this was not the case and that, to the contrary, the war did not greatly impact the legal industry. Thus, she turned to the WBAI job placement program for guidance and support. Through the program, Catherine obtained her first legal position with a small general practice in downtown Chicago. Even as a practicing attorney, Catherine explained that she did not feel at a disadvantage because she was a woman. She readily navigated the judicial system, often outsmarting her male partners who sent her into sticky courtroom situations. Although she only worked until she was about 28 years old, Catherine fondly recalled her experience as a lawyer, often laughing at memories she shared with male and female colleagues alike. By her late twenties, however, Catherine had married her law school sweetheart and was ready to take a step back to have children. Catherine noted the vast change in the professional landscape since the time she practiced law and was fascinated by the increase of women excelling in nearly every field. Such progress seemed to make Catherine proud, knowing she was at the forefront of that movement. She emphasized with great conviction her belief that a woman can do anything a man can do, and just as well. Michael, her nephew, echoed this sentiment and cited his aunt as an inspiration for his own decision to become a lawyer. I think I speak for Kilby, Jeanine and myself when I say that we, too, left the interview feeling inspired by Catherine Rago. Her spirit, energy and refusal to take a backseat to a man – even during a period of time when so few women entered the work force – reminded us of how far women lawyers have come and of our own role in the ongoing advancement of women. This article originally appeared in the WBAI Fall 2015 Newsletter. 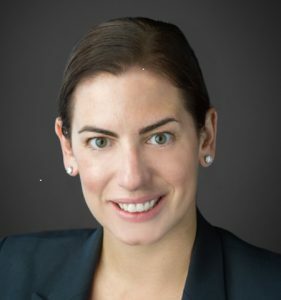 Kristen Lukaszak is an associate at SmithAmundsen LLC where she concentrates her practice on construction litigation. She serves on the WBAI Board of Directors and co-chairs the Civil Litigation and Access to Justice Committees. In addition to her work with the WBAI, Kristen is the Communications Chair of the LAF Young Professionals Board. Kilby Macfadden served as the Recording Secretary for the WBAI. Macfadden is an Assistant Attorney General in the Public Integrity Bureau of the Office of the Illinois Attorney General.